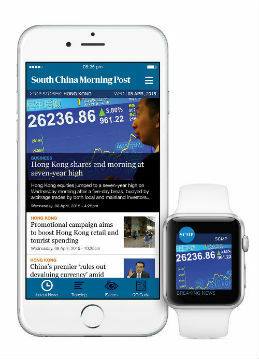 SCMP Group Ltd (SEHK: 583), Asia’s leading media holding company, today announced the launch of the SCMP Mobile Edition app for the Apple Watch, heralding the SCMP as one of the first developers and publishers of Apple Watch apps. Available on the App Store for worldwide download, the app provides Apple Watch users free access to latest news from the South China Morning Post as well as Hong Kong, China, business and sport news. Readers can view article snippets, bookmark stories for reading later on their iPhones and access top SCMP stories with a single flick of their finger using the Apple Watch Glances feature. In addition, breaking news alerts will be sent directly to the Apple Watch ensuring SCMP readers have access to up-to-the-minute breaking news stories as soon as they happen.